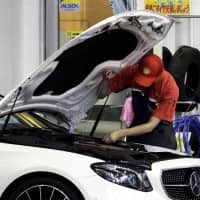 Japan posted a goods trade deficit in October as rising energy costs led imports to rise at the fastest pace in nearly five years, according to government data released Monday. The trade balance in goods with the rest of the world came to a deficit of ¥449.3 billion, the first red ink in two months, a preliminary report by the Finance Ministry said. Imports rose 19.9 percent from a year earlier to ¥7.69 trillion, the highest rate of increase since January 2014. Unrefined oil was the biggest single contributor, jumping 33.7 percent as global market prices climbed before dropping off in early October. Imports of other energy items such as liquefied natural gas from Australia and kerosene from South Korea also increased. 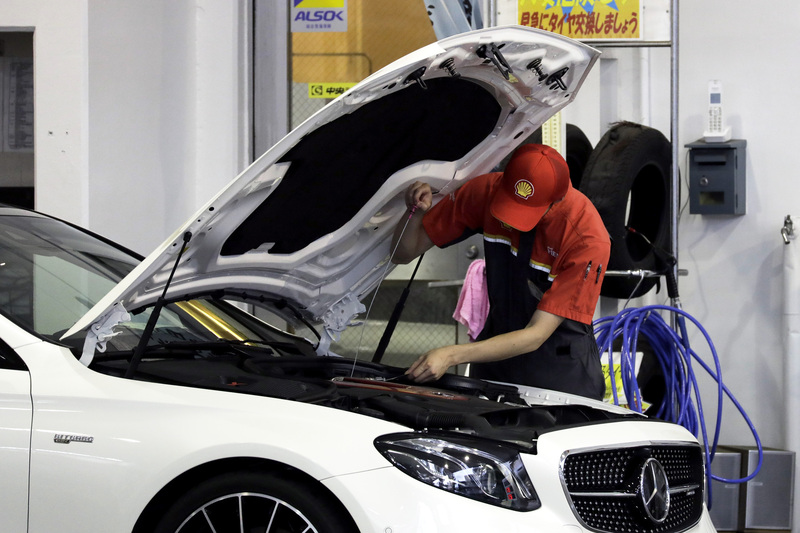 Exports rose 8.2 percent to ¥7.24 trillion, recovering after falling in September due to a string of natural disasters, including the powerful typhoon that shut down Kansai International Airport. Automobiles bound for the United States rose, as did electronic components shipped to China. Takeshi Minami, chief economist at the Norinchukin Research Institute, warned that despite the rebound, the picture for Japan’s exports is not all rosy. “According to the International Monetary Fund’s outlook, the global economy is continuing to grow, but we are beginning to see a slowdown in major countries excluding the United States. U.S.-China trade friction could also begin having a negative impact on trade next year,” he said. By country, Japan logged a ¥573.4 billion surplus with the U.S., though the figure fell from a year earlier as imports of oil products surged tenfold. President Donald Trump has criticized the hefty trade imbalance and is pushing for a bilateral trade deal that could open up Japan’s protected agriculture market. Against its largest trade partner, China, Japan booked a deficit of ¥406.2 billion, the seventh straight month of red ink amid an increase in imports of clothing and mobile phones. Looking at the whole of Asia, Japan’s trade surplus shrank to ¥223.9 billion. It imported ¥3.76 trillion in goods, the biggest figure for any month in data going back to January 1979. With the European Union, Japan had a deficit of ¥73.1 billion amid a rise in aircraft imported from France. The figures were compiled on a customs-cleared basis.